Ever want to connect with other young PR Professionals over free tacos and margaritas? We do too! 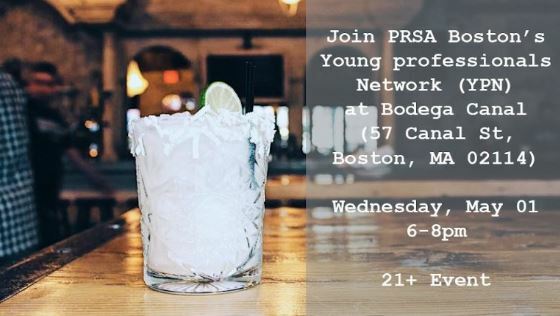 PRSA Boston’s Young Professionals Network (YPN) will be kicking off the year May 1 at Bodega Canal with apps, drinks (your ticket includes one house margarita), and informal networking at a pre-Cinco de Mayo celebration.